As the mould is the most expensive investment in product development, its design is crucial in the overall process. 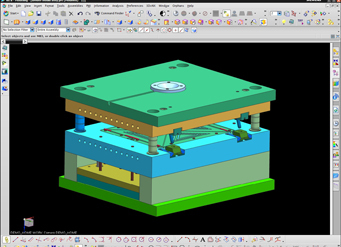 All tooling is fully CAD modelled prior to manufacture to enable fast and efficient product design changes, as well as ongoing tooling support. We produce both single and multi-cavity tools, all built with high tolerance, longevity and production efficiency in mind. Mould trialling is conducted prior to final production to ensure you're satisfied that the end product fits your original brief. Good quality plastic components start with outstanding injection moulds. With over 30 years experience in the industry and one of the best equipped tool rooms in Western Australia, housing three-axis and five-axis DMG CNC machines, the latest Siemens NX CAD/CAM software, conventional mills, lathes and grinders our highly skilled toolmakers are able to consistently manufacture high quality precision tools quickly and cost effectively. We partner with you to provide an inhouse solution from concept through to final manufacture. Using the latest design tools, we develop your concept to modelling stage. Our prototypes allow you to evaluate your component before beginning final production. 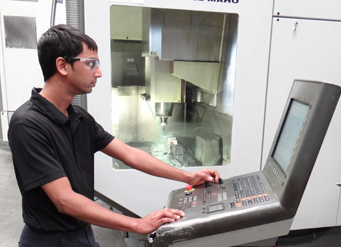 Our qualified and highly skilled toolmakers manufacture your precision tools with skill and dedication.